NEW YORK, March 14, 2019 /PRNewswire/ -- In celebration of World Water Day on March 22, Colgate continues to spread awareness surrounding the importance of water conservation. This year, the brand is bringing Cirque Du Soleil's exclusive One Night for One Drop performance to national television for the first time. 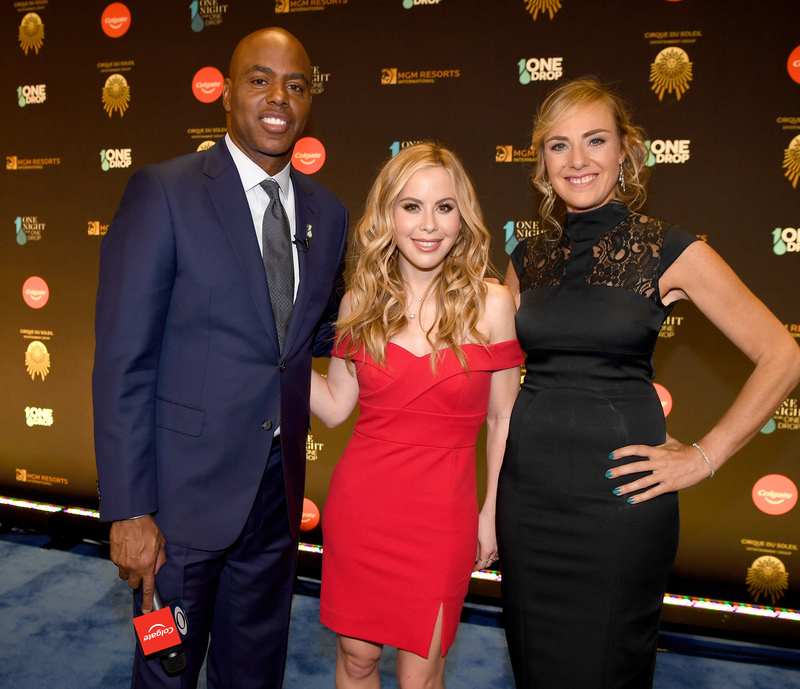 The entertainment special, hosted by Entertainment Tonight's, Kevin Frazier and Figure Skating Champion, Tara Lipinski, imagined by Cirque Du Soleil – brought to you by Colgate, will air on Saturday, March 16 at 8:00PM ET/PT on the CBS Television Network. The exclusive television airing will magnify Colgate's mission to raise awareness surrounding water conservation because #EveryDropCounts. One Drop, a non-profit organization dedicated to providing global safe water solutions, brings its unique Social Art for Behavior ChangeTM approach to the performance to promote the adoption of sustainable practices around water usage. Inspiring small behavior changes that can make a big impact in daily water usage is an important goal for Colgate. Now in its fourth year, the brand's Save Water campaign encourages Americans to turn off the faucet while brushing their teeth as it can save up to four gallons of clean drinking water each time1. In addition to the philanthropic efforts of One Night for One Drop, Colgate recently partnered with water conservation advocate and ultra-runner, Mina Guli, who set out to run 100 marathons in 100 days across six continents to put a spotlight on water challenges around the globe as part of her #RunningDry campaign. Unfortunately, Guli suffered from a broken femur after her 62nd consecutive marathon, but the notoriety of her efforts led to a surprising response from #RunningDry supporters. Runners from 40 countries around the world hit the trail, running to date over 19,000 miles collectively and logging these miles through social media to help Guli reach her goal. Guli continues to partner with Colgate to collaboratively raise awareness of the global water crisis and support organizations like One Drop that work to bring safe water solutions to communities around the globe. "The mission of One Night for One Drop aligns perfectly with the goals set forth by Colgate and the mission of the Save Water campaign to generate awareness surrounding the global water crisis," says Guli. 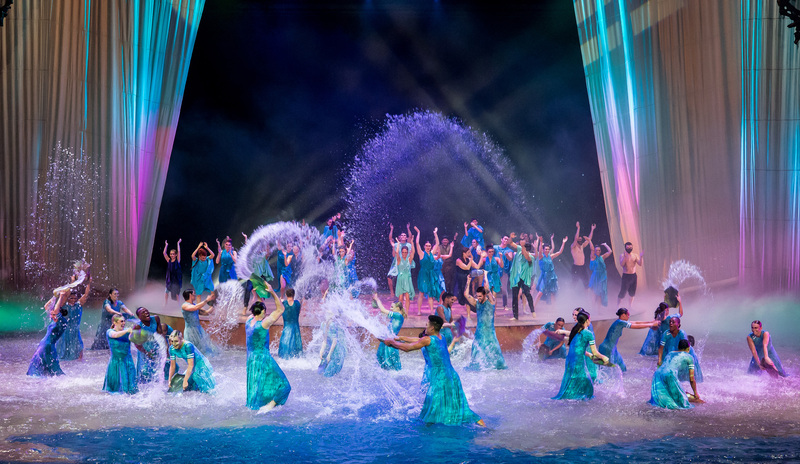 "If every individual attending One Night for One Drop performance goes home and turns off the faucet while brushing their teeth, over 7,000 gallons of clean water could be saved. Imagine the impact now that Colgate is bringing this powerful message to a national audience." One Night for One Drop benefits One Drop, a world-renowned non-profit organization dedicated to providing access to safe water around the globe. 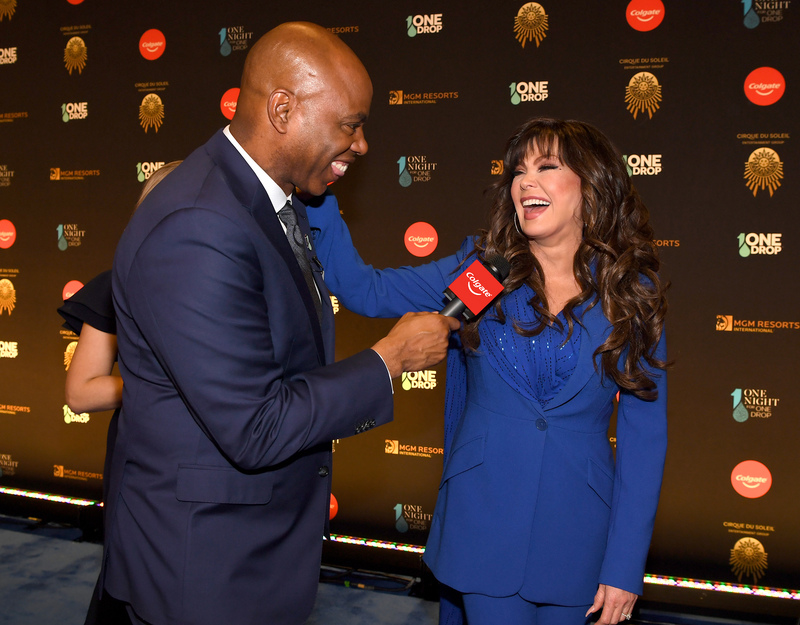 To date, the exclusive event has raised more $35 Million dollars with plans to continue growing and furthering the need to support water conservation efforts and provide universal access to safe water solutions. One Drop™ is an international foundation created by Cirque du Soleil founder Guy Laliberté with the vision of a better world, where all have access to living conditions that allow empowerment and development, today and forever. Our mission is to ensure sustainable access to safe water and sanitation to the most vulnerable communities through innovative partnerships, creativity and the power of art. Together with its partners, One Drop brings its unique Social Art for Behaviour Change™ approach to promote the adoption of healthy practices around water, sanitation and hygiene through locally inspired social art programs, empowering the communities to take ownership of the projects over time. For this to be possible, One Drop puts together novel fundraising initiatives supported by a visionary community of partners and donors. One Drop counts over 10 years of turning water into action with projects that will transform the lives of over 1.4 million beneficiaries around the world. The foundation was recognized by Charity Intelligence as one of the 2018 Top 10 Impact Charities in Canada. To learn more about One Drop, visit www.onedrop.org. Interact with One Drop on Facebook and Twitter at @onedrop, or on Instagram @1dropwater. passionate and committed to making a difference in the world. Thirst is harnessing social media and technology to inform and inspire 14-24 year olds about water and the steps they can take to reduce their own water consumption. Mina is also a keen ultra-distance athlete, having started running only at the age of 22 after a severe injury. Named as one of the 50 greatest leaders in the world by Fortune, Mina runs to raise awareness and inspire action around the global water crisis and in doing so, has set two world firsts. In 2016 in just 7 weeks, Mina ran 40 marathons across 7 deserts on 7 continents. In 2017, Mina ran 40 marathons in 40 days on 6 continents down 6 of the World's great rivers – to promote the UN's Sustainable Development Goal 6 (water). Now in partnership with the United Nations Development Program, Mina is embarking on her next expedition – to run 100 marathons in 100 days for 1 reason: water.